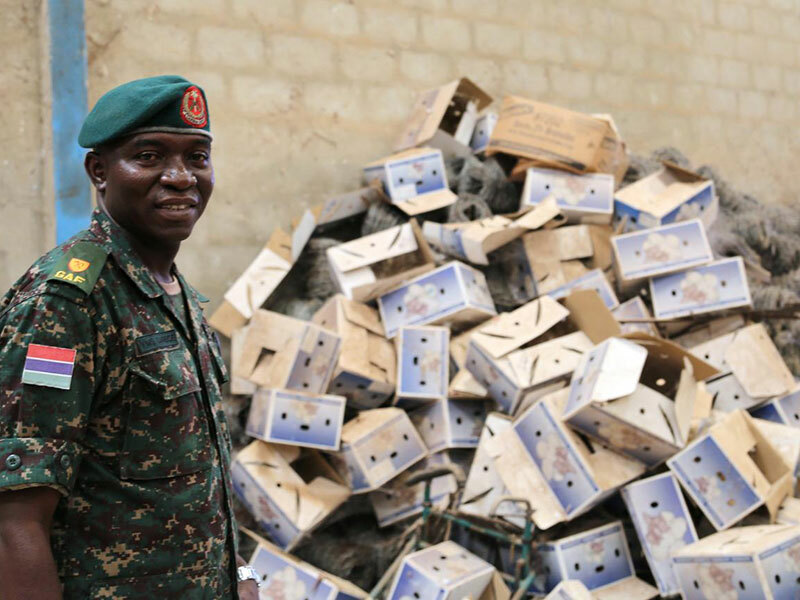 THE GAMBIA (Reuters) – In a warehouse on the sprawling country estate of Gambia’s exiled former leader Yahya Jammeh silver platters pile up beside dusty crates of empty champagne bottles with labels commemorating his 1994 coup. A bailiff picks through the boxes and scribbles down notes – the start of what the new government says is a search for tens of millions of dollars of looted assets, an investigation that Jammeh’s supporters have dismissed as a witch-hunt. A US official in Banjul said Washington was planning to help and government staff say they are counting on World Bank assistance. The size of the Kanilai estate – just a fraction of Jammeh’s holdings according to the government official leading the tour – shows the scale of the task ahead. “We suspect most of the things were taken away before he left – the treasure, possibly weapons and most of the vehicles,” said the bailiff from Gambia’s high court, Modou Moussa Ceesay, taking an inventory of Jammeh’s possessions. 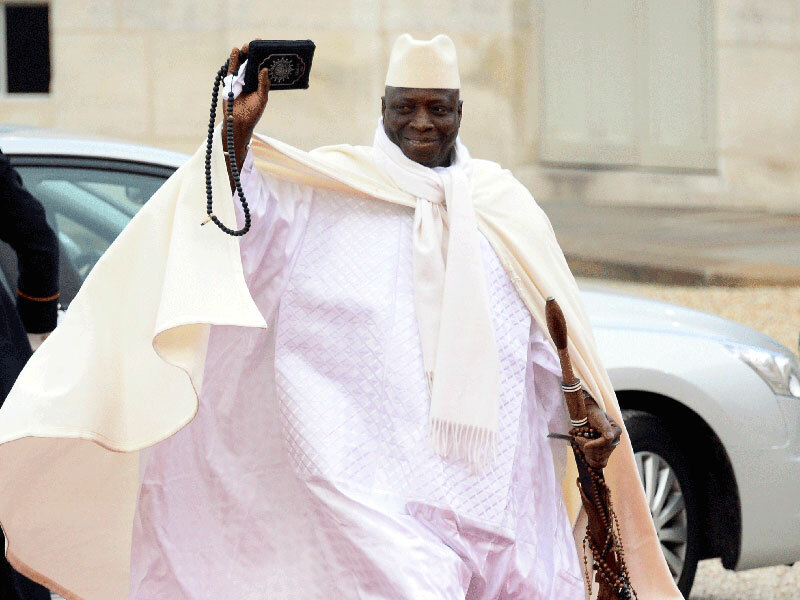 The former president – accused by opponents and rights groups of widespread violations and corruption – fled Gambia in January as regional forces descended on the capital Banjul to enforce the results of an election he lost. He has not commented on the investigation from his new base in Equatorial Guinea. His still strong band of supporters left behind in the tiny West African state have called the plunder hunt a case of victor’s justice. Kanilai was Jammeh’s birthplace and is now his most elaborate estate – complete with farm, mosque, tanks, multiple residences, jungle warfare training camp and vast private safari park housing exotic parrots, zebras, hyenas and camels. Building materials lie next to an unfinished new palace, near a billboard of a smiling Jammeh embracing his family. The justice ministry team inspected it all under the gaze of a group of Jammeh’s relatives and supporters, all wearing the green T-shirts of his APRC party. One of them stuck up his middle finger at the visiting delegation. APRC head, Fabakary Tombong Jatta, later told Reuters he had no knowledge of any embezzlement of state funds or foreign assets owned by Jammeh. “These people just want anything with any link to Jammeh and that’s not fair,” he said, calling the investigation “witch-hunting”. New President Adama Barrow took office in January and set up a task force to track down Jammeh’s assets in May. “Most of the paper trails are available,” Gambia’s Solicitor General Cherno Marenah said. But following those paper trails is proving time consuming. Investigators only made their first visit to the heavily fortified estate this month. Finance minister Amadou Sanneh last month said $100 million – more than a third of the annual budget – had been siphoned from state firms, in the riverside nation, nearly half of whose 1.8 million people live in poverty. A list of Jammeh assets temporarily seized by the government pending a court order showed 14 businesses in everything from media, insurance to farming. Sanneh said the government planned to sell four of Jammeh’s presidential planes. Marenah said investigators were also looking into assets in Morocco and the United States, where one U.S. official told Reuters Jammeh owned property in Potomac, Maryland, a wealthy suburb of Washington, DC. An official in the U.S. embassy in Banjul confirmed that they were collaborating with the Gambian government on how to assist with the recovery efforts. The World Bank would help Gambia through its Stolen Assets Recovery Programme, Marenah said, though the bank declined to comment. Back at Kanilai, once a small village near the border with Senegal, soldiers lead a tour of Jammeh’s main residences. The screeches of three of his abandoned parrots echo inside an empty ballroom hanging with crystal chandeliers. One of the pictures hanging on the wall shows a young Jammeh holding a staff some Gambians thought gave him mystical powers – he long said he had developed a secret cure for AIDS. A pile of paperwork including an old business document from a visiting Royal Dutch Shell delegation sits near a bookshelf holding Adolf Hitler’s “Mein Kampf” and former British Prime Minister Margaret Thatcher’s memoir, “The Downing Street Years”. At the entrance to another residence, soldiers swap jokes and take turns playing on a grand piano and shooting pool next to a fake Christmas tree. “It’s too much for one man,” mutters one of them as the delegation tours the rooms.